What makes logging Java applications complicated? While there are multiple third-party logging frameworks available for java logging, they solve only a part of the problem, and it can be difficult for a team to manage huge log volumes. Most traditional methods for java logging require several manual steps, which can impede troubleshooting. For instance, teams have to parse multiple logs at search time, which is a slow and painstaking exercise. In the absence of advanced features, teams have to use complex integrations and toggle between different tools. These workarounds are difficult to optimize and can hamper monitoring and analysis. Many teams rely on third-party frameworks like Log4J, Logback, and tinylog for Java logging. While these frameworks, along with the java.util.logging API, can help teams during the development, the management of log volumes in the production environment can be tricky. Developers often have to maintain and manage their own servers for logging, which can distract them from their real work. Furthermore, the above-mentioned frameworks do not offer any help in the monitoring and analysis of java logs. That’s why a cloud-based log management service like SolarWinds® Loggly® is preferred for centralized management of logs. 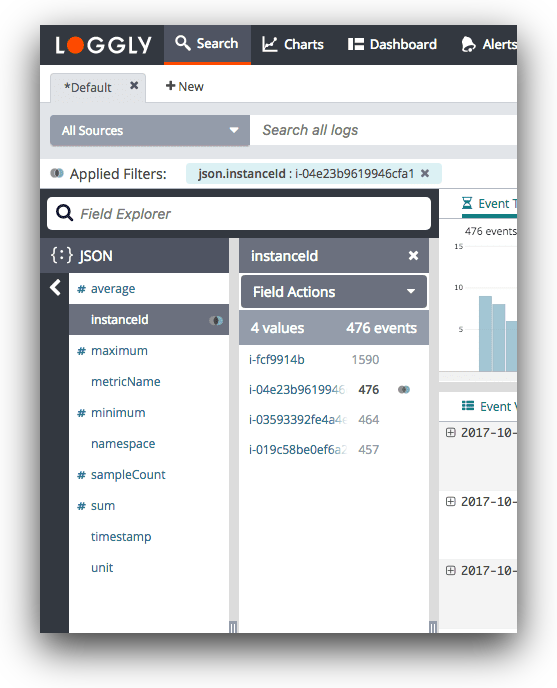 Loggly makes it possible for you to stream logs from your Java-based projects and analyze them along with other application and infrastructure logs, in a unified manner. To analyze production logs in distributed setups where log volumes can multiply rapidly, you need tools that can improve log management and analysis with automation. For instance, Loggly can parse partial and multi-line stack traces automatically. This feature helps ensure you get near-instant results for your log searches. Furthermore, it provides a Dynamic Field Viewer which gives a structured summary of your logs. This viewer allows you to click and browse through the logs without any need to perform complex searches on the console. You can easily integrate Loggly with tools like Takipi to get to the root cause of issues within your Java applications. In addition to centralized cloud-based log management, Loggly offers advanced charts and dashboards that simplify your log monitoring and analysis work. These charts can include key performance indicators and metrics related to your applications. With a graphical representation, you can easily explore patterns over a period. The anomalies chart can help you detect issues that often remain undetected by threshold-based alerts. The charts are built for interactivity; you can easily drag and resize them, place them on shareable dashboards, and click on any spike to find associated logs. Also, these logs can be linked with the associated code in GitHub for quicker troubleshooting.